Have you seen the hot new Studio C collection from Carolina Pad? Carolina Pad offers a full line of office, school, and art supplies to help you in your school or home office. I’m loving my new tote bag and one of my lucky readers will win a Carolina Pad Studio C tote bag (a $29.99 value) in this giveaway. I have lots of tote bags, but not until I received the TranZend Everyday Tote Bag did I want to take the same bag everywhere with me. That’s because this tote has tons of interior pockets, even zippered pouches – so I can keep all of my little stuff organized. There is even a drink holder on the inside – I love it! I have the lime green/turquoise bag and I love the cheerful look of it. It gives me a little “pick-me-up” when I see it – and that’s another reason why I’m taking it everywhere with me now. Who knew that a smartly designed tote bag could inspire me to carry the essentials of my “mobile mom’s office” with me (magazines, books, notepads, paper, pens, sticky notes, gum, drink). I’m maximizing my down-time waiting while out and about and getting more things done! Make a refreshing change in your at-home office or on-the-go mobile office with the new Studio C products at Office Max. They have everything from notebooks to netbook sleeves. And the Studio C products are designed with the user in mind – lots of extra pockets, pouches, and functional features that you will use. You’ve probably seen Carolina Pad products at your local stores like Walmart, Target, CVS, Walgreens, Kroger, Office Max, Office Depot and more. They are everywhere and I see them on sale all the time! Want to test new products? Join the Consumer Insights panel and share your valuable opinion by completing short surveys and even testing brand new products. Follow @carolinapad to stay current on giveaways, promotions, and other fun stuff. Become a fan of Carolina Pad. Another way to learn about their hot new products and promotions. You can also become a fan of Sasquatch. Sign-up for the Teacher’s Lounge for a chance to win products for your classroom. The email addresses that I collect for this giveaway will only be used for the purpose of contacting the winner, and will never be given to anyone. This giveaway will close Monday, April 26 at midnight (CT). I’ll announce the first name of the winner in a new post the next day and contact the winner by email. I will draw the name of the winner by using the random number generator at Random.org from the eligible entries received. If a winner does not contact me within 72 hours by email, I will draw a new winner. This giveaway is only open to residents of the United States who are 18 years of age or older. The winners will receive their prize directly by mail from Carolina Pad. You must complete this form to enter this giveaway. If you can’t view the form, click here to visit my blog. If you still can’t see the form, then email me with the subject line “Carolina Pad”. Required questions have been marked. Browse here to pick your favorite Carolina Pad Studio C product. Please enter this giveaway only once per household. This giveaway has closed. All of my giveaway winners are posted here and contacted by email. Good luck and remember that you need to complete the form to enter this giveaway. You are welcome and encouraged to post comments here, but any comments will not be considered as entries in this giveaway. Just for fun, please leave a comment and tell us which Studio C product you fell in love with and what you would use it for? My favorite Studio C product is the TranZend Everyday Tote Bag that I’m now using every day – it’s becoming my “mobile office” of sorts. Thanks for entering and come back after Monday, April 26 to find out who won. Freebies 4 Mom Giveaway Disclosure: Carolina Pad sponsored this giveaway by providing a tote bag for me to keep and a tote bag for me to give away to a randomly selected winners. I did not receive any other compensation from Carolina Pad for hosting this giveaway or writing my review of their products. My review is my honest opinion based on my own experience, and is not reviewed or edited by Carolina Pad. For more information about how reviews and giveaways are conducted on Freebies 4 Mom, please read my Disclosure Policy. LOVE THE PINKKKKKKK BAG #14818-WOULD USE AS A PURSEEEE!!!!! LOVE BLACK N PINKKKKK-WHEN DAD WENT TO HEART SURGERY BOUGHT HIM A BLACK N PINK TEDDY BEAR-JUST LOVE THIS COLOR COMBO—–HMMMMMM-A NEW CAR COLOR COMBO–HEHELOL!!! (IIIIII WOULD LOVVVVVVVV ITTTTTTTT!!!!!)LDE! I LOVE..LOVE these totes!! I always have a problem finding a tote that's big enough (4 kids:) to carry that's cute & chic too! These bags are that & much more! !PLEASE PICK ME!!!!!!!!!!!!!!!!!!!! I fell in love with the TranZend Everyday Tote Bag and I would use it as a diaper bag! I've been looking for a new bigger bag since switching from a small expandable file to a binder for organizing my coupons… The TranZend Everyday Tote Bag would be perfect! 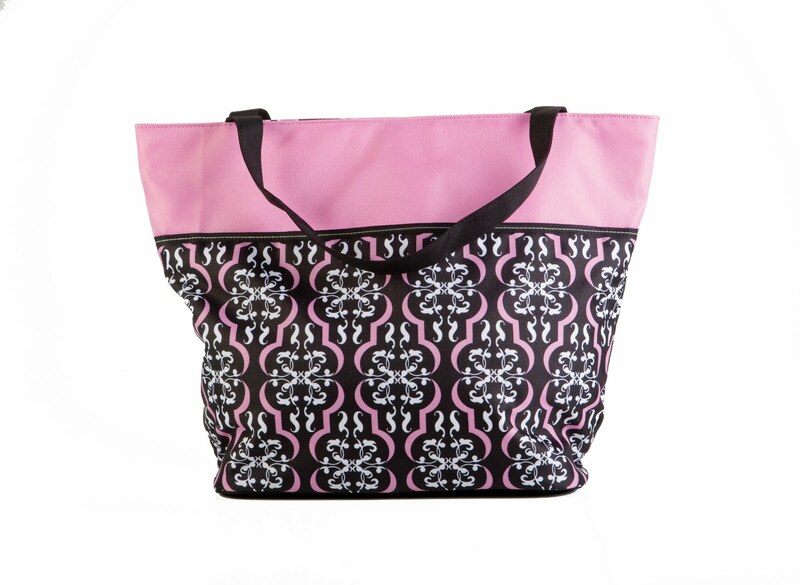 I like the pink and black simply chic everyday tote bag. I'd use it as a purse/diaper bag! Toatally LOVE your lime tote bag! I'm right in the middle of painting my dock chairs Key Lime this year!! The color rocks! TranZend Everyday Tote Bag is my favorite. I could use it everyday! I love the green Simply Chic Everyday Tote bag. I would use it as my teacher bag. I entered using the form, but I am wondering….where did you buy your tote bag? I am going into "professsional organizing" and have been looking for a bag like this. But she doesn't have her totes for sale on her website, and I went to the other stores' websites that sell her stuff, and couldn't find any of her totes at any of them (OfficeMax, Staples, Target, Walmart…). Thanks, any info could help! I also love the Simply Chic Everyday Tote Bag in Pink. I would use mine as a purse/diaper bag combo and get rid of the huge light pink diaper bag I lug around everywhere! haha! Love the purple TranZend Laptop Tote!!!! 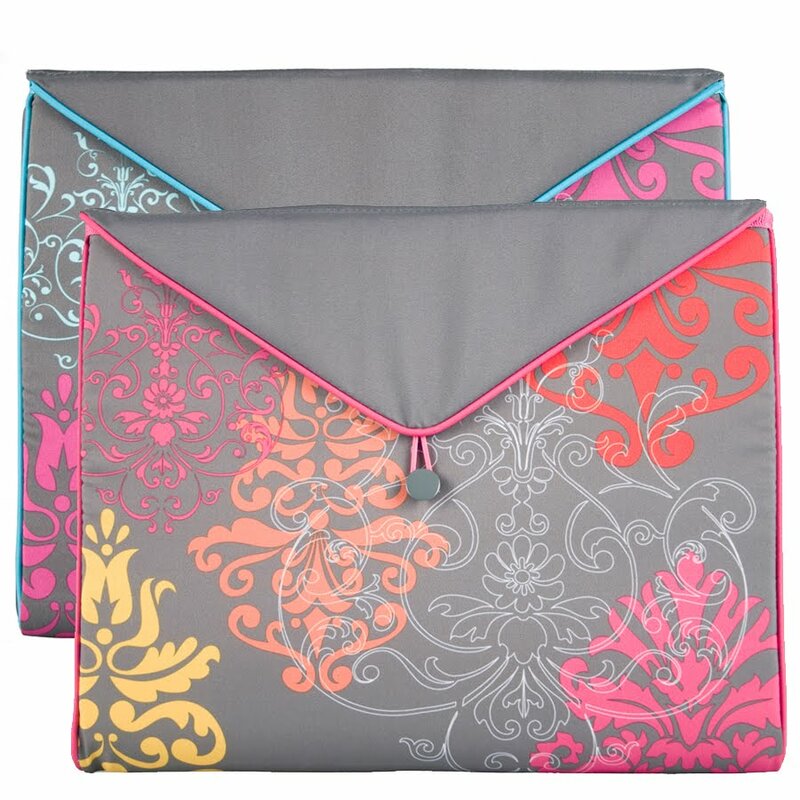 Simply Chic Laptop Totes and the dreamsicle accordion file. I like the TranZend Everyday Tote Bag also. The green and blue is one of my favorite combos. I hope I win, my birthday is on the 26th! I love the green simply chic everyday tote bag and may just tell hubby I want that for Mothers day. I truly did not read the comments before I chose my product but I love that Simply Chic everyday tote bag. I'm a sub and I could use that to carry all the things I need to school and not look so much like a vagabond. I love the Dreamsicle Tab Dividers! I love TranZend Everyday Tote Bags. Simply Chic Everyday Tote Bags is absolutley adorable!!!!!!!!!!!!!!! The bag can be used for anything!!! Thanks for spreading the word about carolina pad; I've never heard of them before. I'm lovin' that Simply Chic everyday tote in pink! I love practical AND pretty! I love the simply Chic tote bag. I am a professor and trying to keep everything organized when moving from location to location is a must. The mutliple pockets are the best part of the bag! I love that the totes have a magnet closure and so many pockets! And they are cute, too! I love the Dreamsicle items with butterflies on them. I absolutely adore butterflies. I also love the techno them toom. 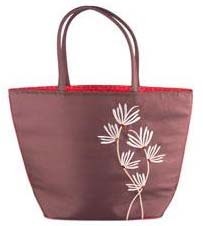 Simply Chic Everyday Tote Bags (14818) Brown & pink is very, very chic! I love the pink Simply Chic Everyday Tote bag, I could totally use that as an everyday purse!